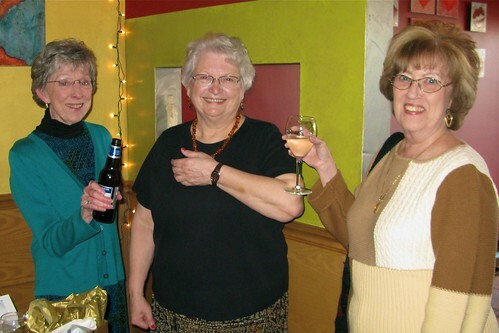 Archive for "70th Birthday Parties"
My daughters chose Wine-All-You-Want Cafe in Batesville, Indiana, as the location for my second birthday party. I expected only family and a few freinds. Surprise! My daughters had invited friends and former students from Lawrenceburg, Indiana, as well as friends from Indianapolis, one I’ve known for 52 years, some for 37 years and the others for 17 years. Many family members were also able to join us for food and fun. Click on any photo to view a slideshow of the birthday party. Return here by clicking the JoyOnTheRoad tab or your browser’s Back button. 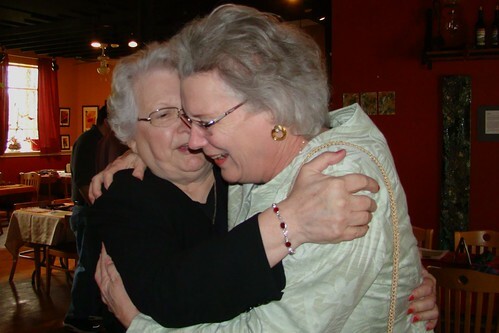 Long-time friend Debbie (one of the two dear Debbies) hugs Joy Dean at her 70th birthday party. I was REALLY surprised and spent the next four-five hours trying to visit with everyone there. I am a very fortunate person! Party #1 was a dinner party in Indianapolis at A2Z Italian Cafe (http://www.a2zcafe.com) on East 96th Street. My friend Leandra had introduced me to Ash and the A2Z and every meal there had been a delight. When I asked Ash if he could accommodate our group for a drinks and dinner, he readily assured me that he and his staff would love to have us dine there. 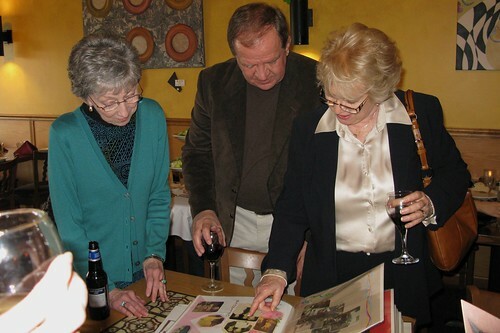 Long-time friend Sharon had brought several of her photo albums (works of art) which contained photos of many of the guests. Those photos ranged from the late 1960s to the present, including pics of my daughters Helena and Wendy (who along with their husbands were the evening’s hosts). Perusing Sharon’s albums are Leandra, Terry, and Karen. Toasts and lively conversation filled the evening. 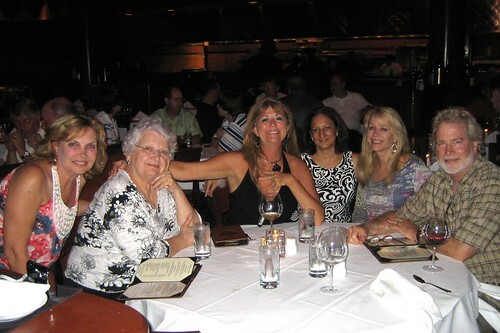 Bringing together people who have known each other for 16—50 years means the stories shared were both hilarious and touching. Friends. Food. Fun. I’m such a fortunate person. Joy Dean displays her present, a watch, from Leandra and Sharon.